Bowl Gouges have increased flexibility with fingernail grind. Greater cutting tip area can be used for heavy profiling cuts and fine, delicate shearing cuts. 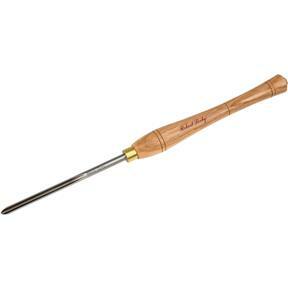 Spindle Gouges are ideal for fine detailing on spindle work. Having the wing tips ground back reduces the danger of them catching when working in confined areas.Bowl gougeSize: 3/8"
This is a great tool! The fingernail grind really makes a big difference.